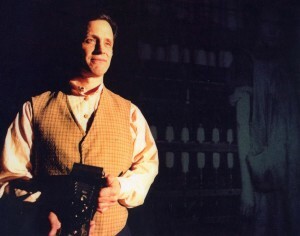 BETWEEN THE CANALS: The Evolution of a Mill Town is a Living Museum-styled theater production, which ECT premiered in 2001 and performed on-site in the historic Lyman Mill, now known as Open Square. Back by popular demand, we have re-envisioned the play so it can now tour to any location. In BETWEEN THE CANALS, the audience is transported back in time, from present day Holyoke to the mid-1800s.Through a series of vignettes, live music and a dramatic slide show, the audience witnesses the building of the 1,000 foot dam across the Connecticut River; French-Canadian children leaving their family farm to work in the mills; Irish and Canadian children working 14 hours a day in a textile mill; a Labor Union meeting where they draft a resolution to improve working conditions; and Susan B. Anthony speaking from the steps of the new Holyoke City Hall. The play ends back in present day, as a young Puerto Rican child prepares for her first day of school in her new home. BETWEEN THE CANALS offers a message of hope for the future, based in the harsh realities and personal triumphs of the past. A corresponding workshop on CULTURAL HERITAGE is available for teachers and students in grades 4-12.